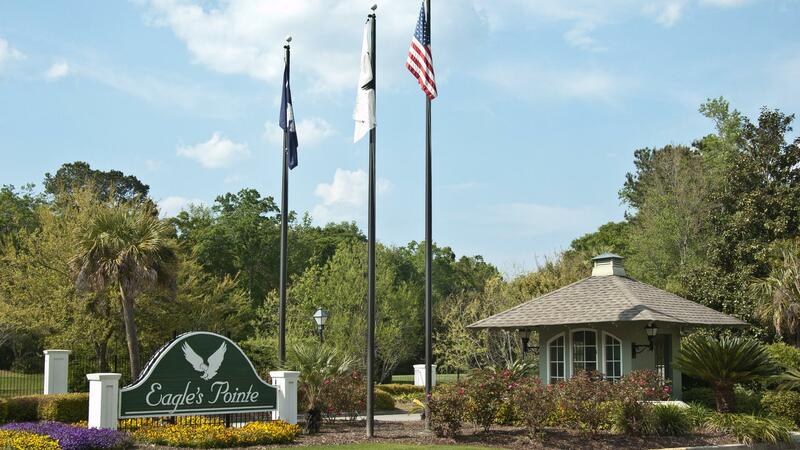 Rent Eagle Pointe Golf Resort | Corporate Events | Wedding Locations, Event Spaces and Party Venues. Eagle Pointe has been crafting unique ceremonies and receptions for over twenty years. Dedicated to making your dream wedding a reality, we look forward to exceeding your expectations! -Elegant atmosphere -Impeccable service -Comfortable 1 to 6-bedroom condos -Golf, tennis, and swimming. On behalf of Eagle Pointe Golf Resort, I would like to congratulate you on your upcoming wedding, and thank you for expressing interest in Eagle Pointe Golf Resort! We would be honored to offer our services for your rehearsal dinner, ceremony, reception, and guest accommodations. At Eagle Pointe, we strive to complement our unforgettable setting with an elegant ambiance and impeccable service. Our professional staff will work to ensure your wedding day is one you will always cherish. We look forward to being part of your special day! For first-class service and attention to detail, plan a corporate meeting, employee picnic, holiday party or social event in one of our many indoor and outdoor venues. Upper Talons:Dimensions: 33' x 19' 10"
Executive Board Room:Dimensions: 19' x 12' 9"